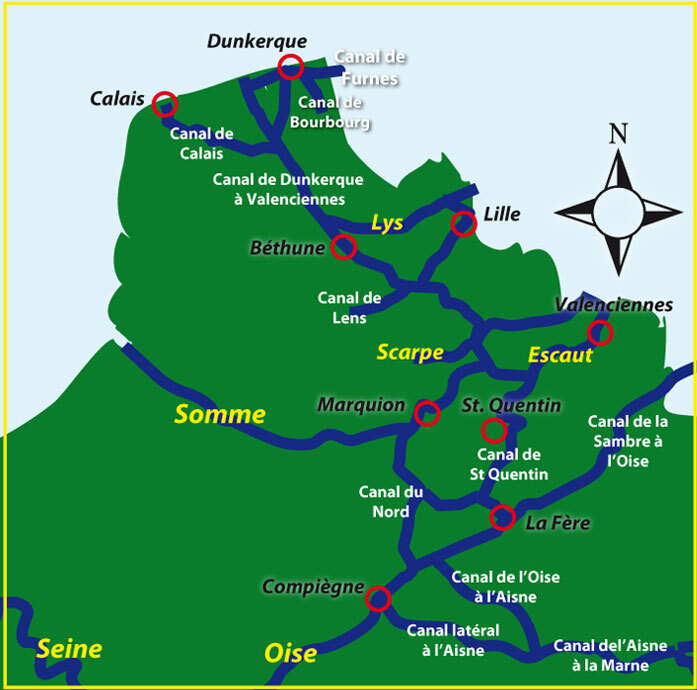 Map with the rivers and canals in France, witgh access from the English Channel La Manche (the sleave). Many people will use this waterway network to access the river Seine for Paris and head down south across the central canals towards the Mediterranean sea via the Rhone. You can also head to the east for Strasbourg on the Rhine river, then across Germany into Austria, Hungray, Romania and Bulgaria. If you are cruising from the south to the north, the canals provide different routes into Belgium and Holland.